Sometimes I feel comfortable just winging it: Getting to the restaurant without directions, shopping for Thanksgiving without a list, extemporaneous public speaking. Sometimes I feel in no way prepared to just wing it: Scorekeeping a Little League game. I volunteered to keep score for some upcoming games for Bob's team, the Jet Hawks. I sort of watched a dad doing it for the first time on Saturday. I've been watching YouTube Little League Scorekeeping instructional videos. I printed out a scorekeeping cheat sheet from the internet. Just thinking about it, my left eye starts twitching. I have realized that if I actually understood the rules of baseball, I might be a teensy bit more confident. Laughing out loud over here. This certainly is one way to stay awake during America's most boring pastime. 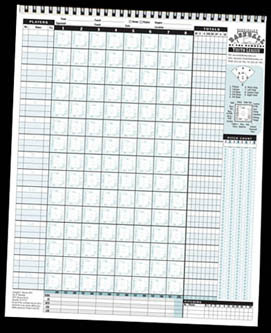 Keeping score is a good way to learn about baseball. It's gotta be easier than football which I don't understand at all!